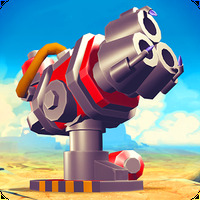 RPG Toram Online Android - Free Download RPG Toram Online App - Asobimo, Inc.
"Explore a massive vast world online with this RPG!" Game Goal: In RPG toram, the world was hit by a disaster. Even with the help of the gods, chaos still prevails. In this environment, the player is invited to play through many adventures in a multiplayer game. How to Play: The user can customize the style and improve the character skills. To defeat the monsters and save the planet, you can get help from other players during battles. Graphics: The 3D graphics have quite realistic landscapes and characters with anime style traits. Sound: The soundtrack complements the game with a combination that adds oriental elements with an adventurous footprint. Controls: The selection of items and movements are performed via touch commands. Languages: Available in English, Japanese and Chinese. Content Classification: Entertainment suitable for RPG fans over the age of 10 years old. Requirements: Android 2.3 or higher. 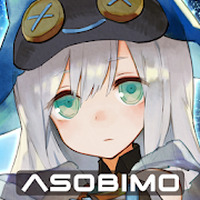 Developer: Asobimo, Inc. is based in Japan	- One of the most prominent developers on Android Market. Recomendations: Contains sounds or visual scenes of mild violence in a fantasy setting. Installation requirements: A minimum of 55M of free memory space and Android 2.3 or higher. The character has several customization options. Bugs and lags were observed in some devices. You must be connected to the Internet to play. Do you like RPG Toram Online? Maybe because my phone rooted? Design dungeons and plunder treasure! Fight and conquer in a mythical era! Breathe life into your dragons and prepare for battle! 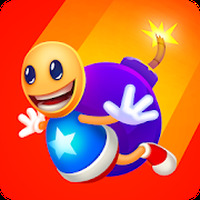 Join a team of heroes to save the world!